NOVITÀ - AQUISIZIONE QUOTE CENTRO DI ASSISTENZA AGRICOLA - C.A.A. AGRISERVIZI s.r.l. IN DATA 24/11/2017 LA CONF.A.L.P. HA ACQUISITO PARTE DELLE QUOTE SOCIETARIE DEL "C.A.A. AGRISERVIZI s.r.l.". 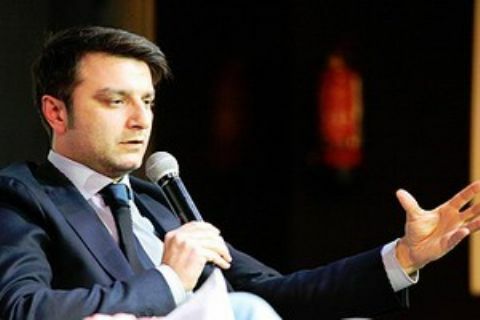 "TALE ACQUISIZIONE, RIENTRA IN QUEL PROCESSO DI CRESCITA E DI SVILUPPO DELLA NOSTRA CONFEDERAZIONE" - AFFERMA IL PRESIDENTE GIUSEPPE TUPPUTI - "CONTINUEREMO A SVOLGERE IL NOSTRO COMPITO CON LA STESSA DETERMINAZIONE, ABBIAMO IN CANTIERE ALTRI PROGETTI, CHE CERCHEREMO DI PORTARE A TERMINE ENTRO LA FINE DI QUESTO ANNO SOLARE. NEL RISPETTO DEL DETTATO STATUTARIO, IN MANIERA SINERGICA CON LE NOSTRE SEDI, ASSICUREREMO AI NOSTRI ASSISTITI COMPETENZA, SERVIZI, VICINANZA ALLE LORO PROBLEMATICHE, COME UN SECONDA FAMIGLIA."